Windows 8 and Windows 8 PRO both will come in 32 and 64 bit edition. 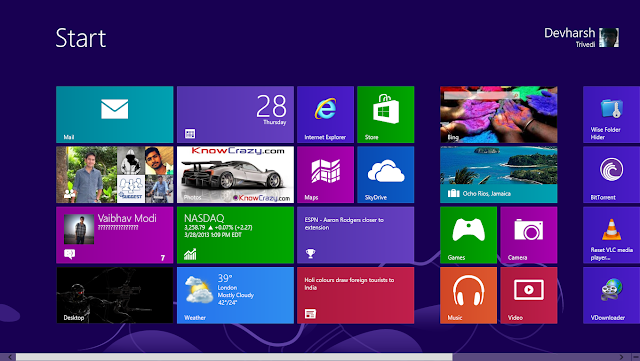 Windows 8, will be equivalent to Windows 7 'Basic' and 'Home Premium' for Home users, and Windows 8 PRO will be equivalent to 'Professional' and ‘Ultimate’ edition for business users. "Microsoft has also renamed the Windows on ARM (also known as WOA) edition. The new name for this will be Windows RT (note that there is no '8′ in this branding, possibly suggesting that this platform may develop into its own brand separate to the x86 platform). This version will only be available pre-installed on PCs and tablets powered by ARM processors (in other words, you will not be able to buy this version as a standalone product."